Q: Nasir asked why he finds difficult to use HTC Desire to view or save .pdf and .doc attachments on his Gmail while he can easily do so on Hotmail. A: I have no problems reading or saving .pdf and .doc attachments on my Desire. You should know that downloads (attachments) from Gmail are stored on your SD card (in “downloads” folder). So, open Gmail and click Download (where attachment is). There you go. Q: Ken said he is sending back his Samsung Galaxy S and wants to replace it with HTC Desire. He wants to know can he create wifi hotspot easily? Q: Sonya would like to know can she use Skype on her HTC Desire. A: Yes! There is Skype application for Android, it is free and you can find it on Android Market. Q: Keith noticed that Maps application is always running in the background. If killed in Task Manager it gets back after few minutes. A: Well, I’ve noticed that, too and it is annoying. My guess is that many applications “call” Maps for some reason and that’s why it is always running. What can you do? First of all – don’t close it manually (or force close) because it will start again and drain much more battery. Be sure that “Latitude” is not activated on your phone (start Maps > tap Menu > if you see “Join Latitude” then you’re ok – Latitude is turned off). Q: Jo noticed that since he upgraded Desire to Froyo (Android 2.2) it shows as Galaxy Tab on Facebook. A: I don’t think this is HTC Desire issue. Facebook application is (still) very buggy. Just to be sure – logout from Facebook, reboot your phone, login again. Try it now. Q: David followed turn off data in romaing and still sees a “R” by the signal icon. He wants to know is that ok? A: Absolutely! “R” is telling you that you are in roaming, but since you turned off mobile data you are safe. Q: Michael would like to know how to increase font size, especially in messages. A: Stock fonts can be changed on rooted devices only. You should search Android Market for applications which will change (enlarge) font size. Try Handcengt SMS or Big Font. Q: Lee Walters complaints that his battery won’t fully charge. It goes up to 92-94%. He even got a spare battery – same thing. 8. Unplug the charger and turn it on. If you still experience problems with your battery contact your retailer for support. Q: Paul is having problems with download. He has a 2nd hand HTC Desire with a different “system on it. It does not have Google Maps and it won’t download apps. A: When you say different system you probably mean custom ROM. There are many custom ROMs available (check this thread for more info). They all come with custom settings, different pre-installed apps, etc. I guess there are some problems with Market application on your ROM. Check the thread above for more info about your ROM and for support. Q: Matthew has a question regarding HTC Desire HD. He downloaded some MP3′s from Amazon to use as ringtones. They appeared at first, but disappeared after reboot. Where they are? A: Matthew, (almost) every download is stored in “Download” folder of your SD Card. So, get yourself some file manager (Astro, for example) and browse it. Q: Tabz has problems with signal in the morning. A: If you have problems only in the morning you should talk to your network provider about area coverage. That’d be all for now, peeps! 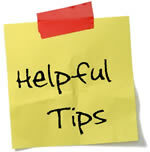 If you want – check previous tips and tricks. Read this post – you’ll find few tips I wrote. Also, this application will tell you if some installed applications drains your battery a lot. You can forward your text messages to email. Try this application – SMS2Mail – it’s free and it does the job. Also, download SMS Backup + to get entire text threads (conversations). Recently had to change to use hotmail app for mail. everything seems ok except cannot see any items in sent folder. any advice? I don’t use Hotmail app, but you’re not the only one with this problem. Read this and this.